Can Southeast Asians survive without mobile apps? They’ve permeated so many facets of our lives that we probably don’t even realise how dependent we’ve become on the dozens (or hundreds) of little icons littered across our phones and tablets. This explosion of app-dependence isn’t surprising, by any means. The Southeast Asian region is home to some of the most tech-savvy people in the world. Over half of the region’s population, 339.2 million people to be exact, are connected to the internet. Over 90 percent of these people are active social media users. Due to these internet penetration rates, it’s no surprise that everyone from taxi drivers to bankers have found one way or another to integrate the use of mobile apps in their daily lives. Using our phones to handle daily tasks may seem like second nature now, but we tend to forget how quickly technology has advanced since 2010. However, should we take the time to look at how involved apps have become involved in our lives, it would elicit a great deal of surprise. 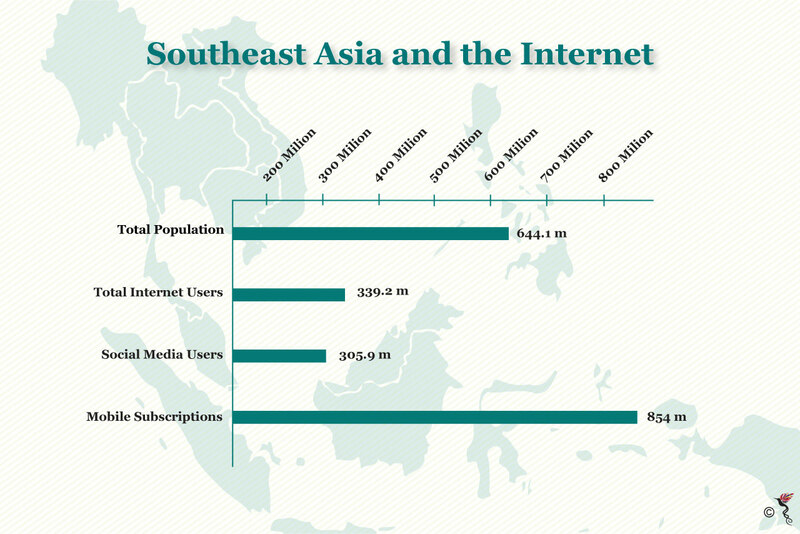 Fun facts about internet in Southeast Asia. Many of us rely on phone apps to survive every day. From setting alarm clocks, to setting reminders about meetings and bill payments, our apps act as the central nervous system for many of our personal and professional lives. The advent of "virtual assistants" like Siri, Cortana and Google Assistant have made it even easier to plan the day. A press of the button here, a voice command there and you’re set. It’s not a stretch to say that mobile apps have revolutionised the way that Southeast Asians approach travel. Though the bulk of the headlines cover the war between Uber and the homegrown Grab, they are certainly not the only companies that are making waves. Go-Jek, Indonesia’s first unicorn, has become one of the region’s biggest success stories. Other transport services have taken note, like the bike-sharing service Ofo. They’ve set up shop in Singapore, Malaysia and Thailand. When it comes to transport, we’re spoiled for choice. Mobile banking has made banking much more convenient for millions of us. We’ve been able to pay bills, transfer money, or even top up our mobile pre-paid accounts through banking apps. Singapore has taken it one step further. Seven banks teamed up together to create a service called PayNow – which allows customers to instantly transfer money using someone’s registered phone number or identification number. That’s taken away the need for account numbers, making it even easier to transfer money. Websites like Lazada and their wide selections are now easy to access in mobile app form, allowing us to browse, shop and pay for our goods from anywhere. Live produce and groceries are now also easily accessible with a few taps on an app. Regional players like honestbee have created concierge services that allow us to purchase from bigger chains, or even speciality shops. This has, of course, led to local supermarket chains to develop their own apps and delivery services to compete. Data from We Are Social was used in this story.